I’ve mentioned before about how I wanted to learn lots of new crafts this year and so far I’ve made a pretty good start on weaving, knitting and crochet. 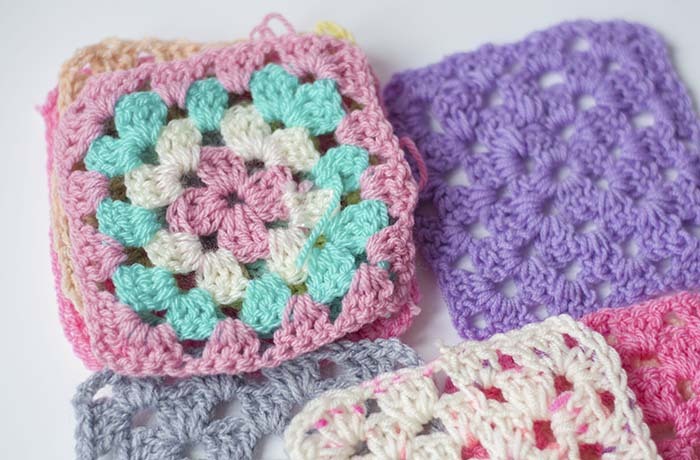 I’ve mastered how to crochet a granny square. I’m still a complete beginner but I thought I would share with you how it’s going and the tutorials I used to learn. I used a YouTube tutorial to learn, I did buy a book but I find it much easier to copy someone and being able to keep pausing the video means you can practice over and over again, something which I did have to do. I would say for about a week I kept undoing and redoing the middle section as I just didn’t see how it was coming together but once I got it I was on a role and made loads without even needing to watch the video. 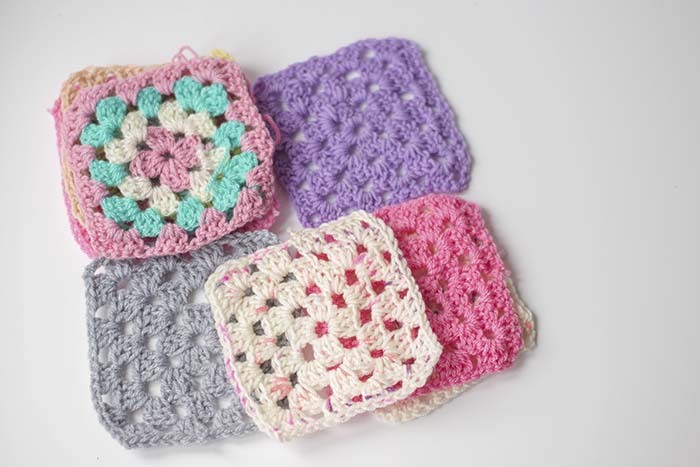 When you type crochet into YouTube there is a video by Bella Coco that comes up first and that’s the one I used. I found it great, she is from the UK but she makes a point of giving both the UK and USA names of stitches because they are different. 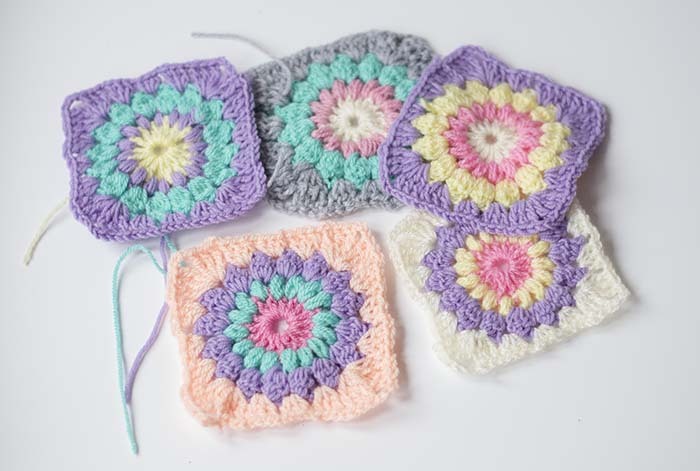 Once I had got to grips with this type of square I moved on to the sunburst granny square which is a bit harder, I used a tutorial by Bella Coco again, in fact I’ve been using all her videos, I find them really easy to follow. I just love how pretty they look! 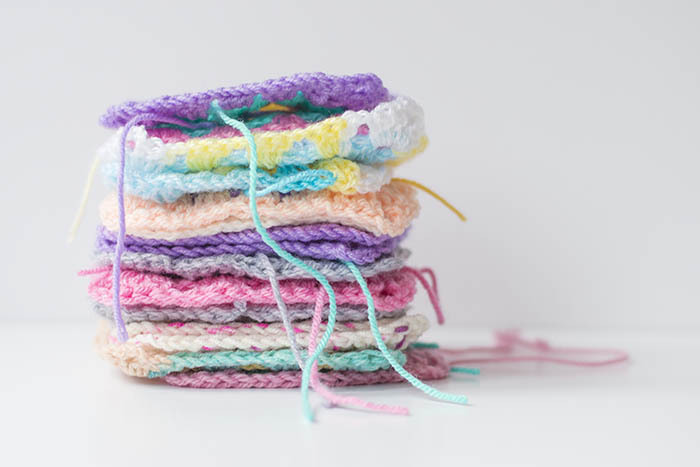 Once you’ve made lots you can do anything with them, join them all together to make a blanket or pillow case. I’m going to use mine to make a curtain for our bedroom. 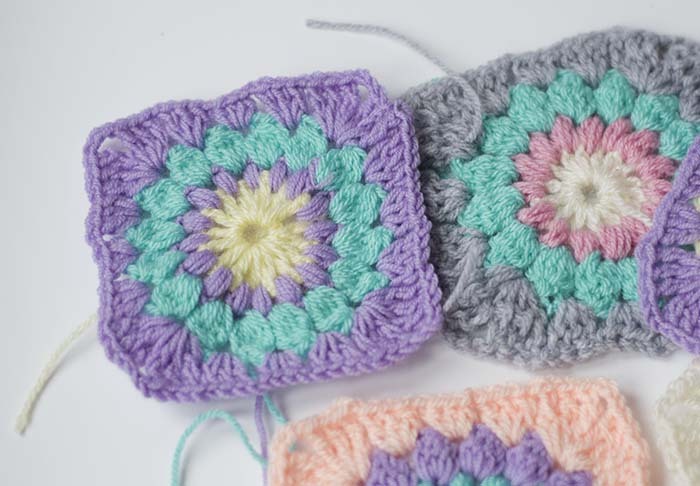 I’ve found crochet to be so addictive, I really look forward to sitting on the sofa in the evenings and learning to make something new. 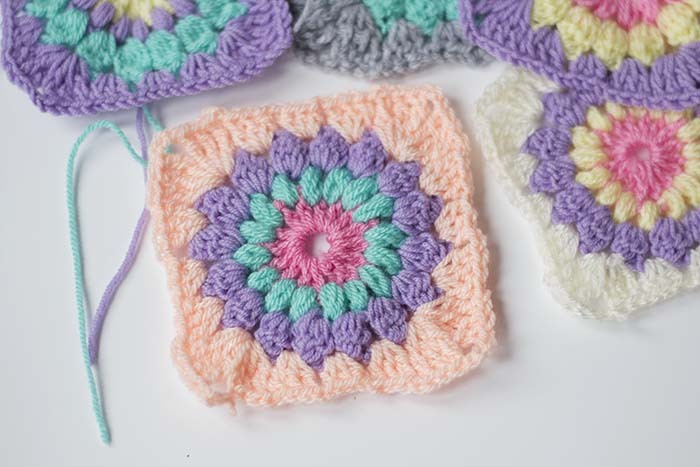 Now I just need to spend some time learning the stitches and how to read patterns, I think that’s the part I will find hard. I’m working on a headband for Cherry with stitches that look like flowers going across it, I will share that on here once it’s finished.